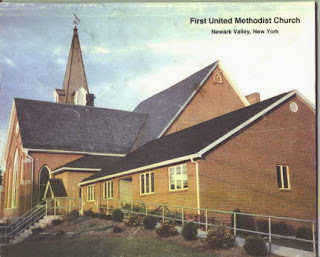 Welcome to the web site of the First United Methodist Church of Newark Valley. Our church is in the Upper New York Conference of the United Methodist Church. We would be happy to have you worship with us during our regular worship services. We hope this site will help you become familiar with our church and that you will join us for worship. We hope you are able to find the information that you need on our site. If you have suggestions for the web site, please share them with us. Offering envelopes are available for those who want them. If you do not have an assigned number and need a set of envelopes, please see Lee Rogers or call the church office at 607.642.8811 or send an e-mail to Lee.